Foster Lewis and Co Ltd are a family owned, and independently run Residential lettings and Estate Agents in Coventry. Whether it is Property for Let or property for sale, we offer superior services to landlords, tenants, vendors and buyers. We believe our friendly, dedicated customer service, our excellent proactive sales techniques and our stand out image gives our clients an all round superior service whether buying, renting or selling a home in the Coventry and surrounding area. The company is owned and run by experienced property experts Glenn Foster and Jez Gates. Glenn and Jez have learnt and worked in the property industry for over 16 years combined and have accrued a wealth of knowledge in both the local and overseas marketplace. They are backed up by a friendly and experienced team of property experts who know the local market thoroughly and help guide you in selling your property or buying a property in Coventry and and West Midlands. Foster Lewis and Co offer Residential sales, Residential Lettings, Comprehensive property management, financial services and conveyancing. In 2011 we moved to our stylish new office in the Coundon area, in doing so branching out to more clients on all sides of the market place and also hope to improve our services wherever we can. 2011 also saw the Launch of the Foster Lewis and Co Mini which has helped raise awareness of client’s properties within the Coventry area. 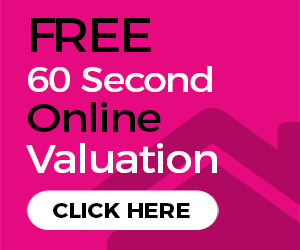 Call us now on 02476 592929 or go back to our Coventry estate agents home page for the latest properties and news, search our properties for sale or rent, request a free sales valuation or submit our enquiry form.